February 4, 2019 | Elsie Gonzalez, Esq. In the matter of New Jersey Division of Child Protection and Permanency v. A.S.K. (A-50-17 ___ N.J. ___ (App. Div. 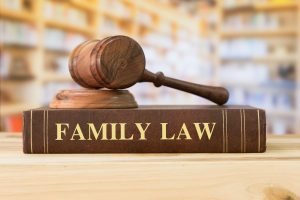 2018), the New Jersey Supreme Court reviewed the trial court’s decision to terminate the parental rights of E.M.C. (“Eric”) to his son, A.E.C. (“Adam”) based on the record and the application of the best-interests-of-the-child test. Although the Supreme Court affirmed the decision to terminate Eric’s parental rights, the Court found that the Division of Child Protection and Permanency (“DCPP”) made errors regarding the inability to locate Eric, which delayed the child from receiving permanency for an additional 2 1/2 years. The Supreme Court stated that DCPP’s processes would be enhanced by conducting a new search for a parent at each phase of litigation and implementing procedures that retain a party’s past contact information. In this case, the child, Adam, was born on November 14, 2009 and he began living with Eric in March, 2012. Before Adam came to live with him, Eric had last seen him in July 2011. Adam lived with Eric until July 2013. During that time, DCPP received referrals in April 2012 and September 2012. Eric cooperated with both investigations. Because Adam was residing with Eric, an allegation of abuse and neglect against Adam’s mother, A.K. (“Ali”) resulting from the April 2012 referral was deemed unsubstantiated. November 17, 2014 | Elsie Gonzalez, Esq.